Now and then community members ask us to give some information about some of the families our group has supported. Because these families are our neighbors, we respect their interest in confidentiality. However, when we receive words of thanks from a family we’ve supported we’ll post them here. This way you can easily check out to see that your donations really are appreciated. We’ll keep updating as we get additional notes. Note: All notes are edited only to remove names and any identifying comments. March 2019 – after paying the mortgage for a local mom: Thank you thank you and thank you for all you have done for me. I just felt a jolt of joy. March 2019 – from a mom we’ve worked with for about 5 years who finally was in good enough shape to buy a small house: To the people who have been a backbone and support with me on this journey – I know there are more people in the background who have been there through thick and thin. Like every time I am sharing one more achievement, I feel proud and emotional that I was able to save and not depend on T E for the huge leap I took this time. I am not sure how to explain but you all have touched my life immensely and the gratitude I have is not explainable. I am carrying forward all the help and passing it over to many more who are in need in whichever way I can. The battle is never-ending and draining but I have extended family like you all to vent. I am in loss of words while typing this good news to you all. Additional good news I applied for citizenship and cleared the test. I got my naturalization a week ago. Thank you so much. HUGS. March 2019 – from an adult who needed help with rent after her mom died – Thank you so very much, again, for your help during this challenging time. I honestly couldn’t have made it through (still in process) without your help and support with the rent this month. I appreciate it more than I can say. February, 2019 – from a student getting a laptop for college: I cannot thank you enough for the laptop. It was such a blessing to receive and truly turned around the start of my semester. I am so grateful for all that you have done and all that you continue to do for myself and my family. 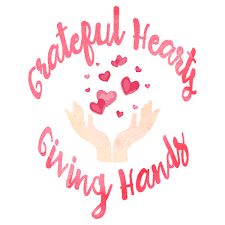 January, 2019 – from a mom we have helped in the past: I’ve been meaning to get in touch with you regarding the awesome Christmas and holiday feast that t/e cares blessed me with, I was so overwhelmed I cried and hugged the volunteer so tightly. You all have always been there for me and my daughter through some hard times and you are greatly appreciated and the gratitude omg you just don’t know. My life is a whole mess. It’s just the hand I was dealt unfortunately. Thank you so much for all you’ve done. I don’t think anyone is more grateful than me for t/e cares. January 2019 – from a student we support in college: This past Monday I attended the dinner for the a special scholarship. It was a really great time and I am grateful I had the opportunity to thank the Foundation in person. I want to thank you for notifying me about the scholarship two years ago – I never would have known about it otherwise. Your help throughout my college career with this scholarship, the Pioneer Plus scholarship, laptop and printer, and school supplies has made an immense difference in my undergraduate experience. Thank you so much for all that you have done and do for myself and my family! January 2019 – from a student we support in college: Thank you so much! I just wanted to inform you that I also accepted my summer internship offer for summer 2019. I am working there also during the winter break as full time hours and will be working 15 hours per week during spring break. I honestly couldn’t have accomplished or made it this far without the help of you guys. I am so thankful for the support you guys provide for me. January 2019 – from a mom receiving help with some bills: I want to thank you for all your kindness and generosity in helping me pay my past due car payment and rent during this difficult time. This gift has helped me more than you know. I am grateful beyond words. December 2018 – after our holiday drive: Thank you! I hope you had a wonderful holiday and a happy new year. I cannot thank your organization enough for all you do for us during the holidays. Made this an extra special Christmas since my son was able to get leave. We all love our gifts and thank you again. He has a long drive back but I’m so grateful he was able to come home and your organization made this a great Christmas for us all. Thank you and God bless you and everyone at TE Cares. December 2018 – after our holiday drive: I just wanted to send a big thank you to everyone involved in the T/E Care community! You guys made our Christmas that much more special! My daughter was so excited on Christmas morning! I can not express how grateful we are for all of your generosity with the gifts, food and gift cards! God Bless all of you! We are so eternally grateful!! Happy New Year! December 2018 – after our holiday drive: I can not thank everyone enough, from the bottom of our hearts, for the amazing holiday presents! Your kindness and generosity brought tears to my eyes, when the person who delivered the items opened up the back of her SUV and said “all of this, is yours!”. I will never forget that moment. It truly means so much, during a personally challenging time. My goal is to soon be helping on your side, to give back to others who would benefit, by volunteering with this wonderful program in the future. Thank you once again and have a happy new year! December 2018 – after our holiday drive: I just want to take this opportunity to thank you and everyone involved in the holiday gift drive.I can’t believe the amount of generosity. My cupboards have never been full before, and I am eternally grateful. It wasn’t easy leaving my marriage, but I finally found the strength to do so. It hasn’t been easy living paycheck to paycheck. Having received such wonderful gifts has allowed me to save money on all those essential living items. I never splurge on treats and seeing my son devour the cookies in a single sitting, made me remember how much he loved them. I could go on and on for each and every item delivered. Please know that I am truly thankful and will let nothing go to waste. Kindly express my gratitude to everyone involved. My prayers go out that each and every one of you to have the merriest of Christmases ever! December 2018 – after our holiday drive: I wanted to send you a quick message to thank you for the delivery. My family and I really appreciate all of your help. If there’s anything I can do in return, please do not hesitate to contact me. God bless you and happy holidays to you. Thank you sincerely. December 2018 – sent to the driver who delivered the holiday drive gifts: I just wanted to send you another thank you for what you did for me and my daughter. You are such a wonderful person. God Bless You! November 2018 – After our Thanksgiving dinner program a mom said: Wow! what an incredible amount of food! I’m beyond thankful for the tremendous generosity and efforts of everyone involved! Please pass along how much this means to me and my family! November 2018 – a note of thanks at Thanksgiving – I just wanted to take a moment to thank you all (the entire T E Care team) for your support. The monetary support, meals/food, grocery, resources, emotional help, car, rent, bills ….the list goes on. All of this took a lot of stress off of me. It helped me stand up and take time and figure out what our life is going to be and how I can navigate through daily challenges. I am not sure how we would have been able to make it through this trying time without the help from friends like you. I really value your friendship, and I’m so grateful to have you our my life. I would also like to add that these words are not enough to thank for what you all have given to us in physical and non-physical form. I pray to god to give more people like you to society for all of us to live happy and secure. October 2018 – after offering holiday assistance to a family we were told: Our family can be removed from your list. As a matter of fact- I would like to shop for a family. I’m sure you get many happy endings with all of the great work you do! Through my divorce I was forced to close a business and could barely make ends meet but keeping my kids in the family home in this amazing school district was top priority. As I struggled to get my head above water the kids really never knew… thanks to you they had school supplies on the first day of school, and they went to camp and had warm winter clothes and much more! Thank you for getting us through the really rough times! Now it’s our time to help others! What you do is amazing!!!! I thank God for the struggles because now I truly appreciate the easy days! October 2018 – we recently worked with a mom to help purchase a “new” used car. After saving for over a year and then with our support we could get her a decent car. She said, To everyone involved from TE Care: Previously I had lost my car – I went to school to be an RN and made it through to clinicals and then I got sick with Lyme Disease. I am going to now try to go back and finish up, everyone I am around says you need to go back you know so much. That’s my goal. I am sooooo happy that the board members could help me purchase a car that is suitable and very capable of helping me continue to work and take care of my family and later try to return to school. God is good in every way and he provides! Thanks again – rest assured you are helping change lives and when I’m able I will give back! September 2018 – from a student supported with our college program: Thank you so much for all of the support you have given me this year & in previous years. I honestly do not know what my mother and I would do without your generosity. Thank you so much! September 2018 – from a student supported with our college program: Thank you so much for the textbooks check, My parents told me that they received the check in the mail. It is hard to put in words how much I am thankful for everything. August 2018 – after summer camp assistance – My children enjoyed to attend the camp. Thank you so much! August 2018 after summer camp assistance – My son has a wonderful experience at boy scout camp. Thank you and T&E Care for all that you do!! August 2018 after summer camp assistance – My son had a wonderful time at Red Buffalo Camp. He had a horse for two weeks; He was thrilled to be there and see his horse every day and take care of him and learned to ride. It was wonderful to visit him on parent evening and see how comfortable he was around the horses. He had an overnight where each tent was named after a state. Thank you so much for helping him to go there. August 2018 after summer camp assistance – Let me start by saying thanks for everything, t&e care has been a blessing! My children had the best time at camp. They made lots of friends and memories. We really appreciate everyone’s time and effort to make this camp experience one to remember. Looking forward to next year! August 2018 after summer camp assistance – My son had a wonderful time at Future Stars as always. The new location was great and convenient. He had the opportunity to make new friends and had some friends attend from his school. The summer ended quickly and back to school is around the corner. August 2018 after summer camp assistance – Thank you! The kids have one more week of camp left. They love ymca. it’s a great help from t e care that I was able to pay a portion of it. Appreciate all the help and support. August 2018 after summer camp assistance – Thank you so much – my children loved going to the YMCA tracks and Trails camp this year…. It was by far their favorite camp this summer! August 2018 after summer camp assistance – My daughter LOVED her camp! It is such a positive learning experience for the kids and teaches them kindness, tolerance, and acceptance. Thanks so much to T&E Cares for making this possible! We really appreciate it! August 2018 after summer camp assistance – Thank you so much for letting my daughter experience camp this summer. Since I had surgery, it gave her an opportunity to have time with friends and enjoy Umly. August 2018 after summer camp assistance – My daughter had a great time at Center on Central! Thank you for offering the assistance. I am very grateful for the help! August 2018 after summer camp assistance – My son attended overnight Boy Scout camp. It is the highlight of his summer. It is tons of fun and adventure, but they also work toward achievement badges, are expected to be disciplined and helpful. We can’t thank you enough! August 2018 after summer camp assistance – Camp was great, thank you so much. I couldn’t have afforded camp otherwise this summer. What a blessing. August 2018 after summer camp assistance – My son enjoy the lax camp very much! he was able to meet kids in the area learn some lax skills and have fun! Many thanks to T&E Care for making this happen for my child! August 2018 – from a dad after the delivery of school supplies: Thank you very much! We appreciate all that you guys do, have a great rest of the summer. August 2018 after summer camp assistance – Camp was terrific! My son had a great summer attending camp at the YMCA. His last day at camp is this coming Thursday and he is looking forward to returning to elementary school to see all of his friends as well as make new ones. We are very excited about First Grade! Thank you and T&E Care for your help with making camp possible for my son this summer! As a single mom on a limited income, it is very stressful and challenging at times figuring out how I am going to make it all work. T&E is such a blessing and wonderful organization for parents like me and I am so grateful for all that you do for us. August 2018 – after a single mom got school supplies: I just wanted to send a thank you for helping with organizing the school supplies for my daughter. I can not begin to explain how grateful we are for the assistance from T/E cares. We are so lucky to live in a community that gives back as much as ours does! My daughter is really looking forward to a great year in school. Enjoy the rest of your summer! August 2018 after summer camp assistance – Camp was AMAZING! Thank you for all your organization does. August 2018 after summer camp assistance – My oldest did Girl scout camp and loved the horse part. Very interested in volunteering with an equestrian center now, and had a great week away! My middle and youngest both did the UMLY- which is always nice as it gives them interaction with others and a great chance to cool off and swim! My daughter did dance and my son did a community habitat program which he enjoyed thoroughly! Thank you for your commitment to this program! August 2018 after summer camp assistance – The camp was amazing!!! My daughter learned ice skating so good and the rest of the summer she remembered those bright moments of the time she spent at camp and had begging about going there again. August 2018 after summer camp assistance – My son really did enjoy his time at The YMCA. Thank you for helping him with this experience. August 2018 – after a college student received extra support for doing very well in school: My family and I are so incredibly grateful that you proposed us for additional assistance to your board. Please know your thoughtfulness and support do not go unrecognized. We are well aware you made intentional efforts to make this happen for us. I can promise you my hardest work and continued improvement as a return for your investment. July 2018 – after connecting with a college student who has received support in his journey – I will never have enough words to thank you for all the help and support that has always been there for me and my family. You guys have definitely made a change in my life and have given me a lot of opportunities to succeed. Moreover, I couldn’t be where I am without your aid. Once again, thank you so much for your kind heart and your selfless service. July 2018 – after working with a Conestoga student in preparation for college – Thank you for the opportunity of T&E Care. To know that in college I have someone looking out for me and to support and guide me through the process is a great blessing. I know the road ahead will only get harder and harder, but to know I have support makes me want to give it my all! June 2018 – after offering support to a student in college: Thank you for so much guidance from high school through college. Having 1st generation parents, it was very hard to understand the American college system and process. T&E Care has been so supportive and truly I couldn’t have done it this smoothly without your help. I really appreciate that you guys have this program to help kids with dreams like me. March 2018 – after paying a rent bill: I want you and TE care board of directors to known you are doing a great work for those in need. You save me from the street or from living in an uncomfortable condition. I feel so honored that you believe in me, that trust you all have is phenomenal. I appreciate what you have done for me and what you are doing for others. Thank you and the board for paying my rent. God continue to bless you all so that you can be a blessing to whoever you are to help. I also thank my pastor for telling me about you. February 2018 – after helping with the inspection and car repair for a single mom: The car company completed my car yesterday, I appreciate all ur organization has done for me and my daughter. I will be starting work Monday. So happy and lucky. God Bless u and the family. February 2018 – after paying the back rent for someone facing eviction – Thank you so much – God bless you and God bless this TECare, and anything ,anything that I can do to be a blessing to you all – thank you – thank you so very much and I just don’t know how to begin to thank you – I just don’t know but thank you and the rest of the board. January 2018 – from a mom after the holidays: I just wanted to thank this organization for all the generosity, the outreach, care, dedication and commitment that you continue to provide to my family. Words can’t express how much this community have reached out and helped me over and over again. It warms my heart to know that people are so caring about others. If I had 1,000 tongues, I couldn’t thank you enough for all you have done and will continue to do for my family and others. Everyone has been so awesome and wonderful. I am truly blessed and highly favored. THANK YOU ALL!!! Click HERE for archived pages on past “Words of Care”.